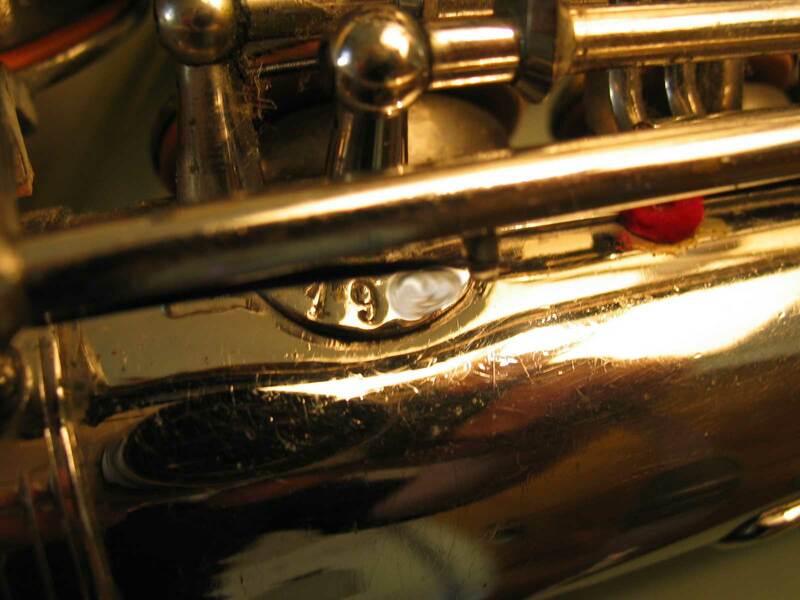 Note that this alto is keyed only to low B. 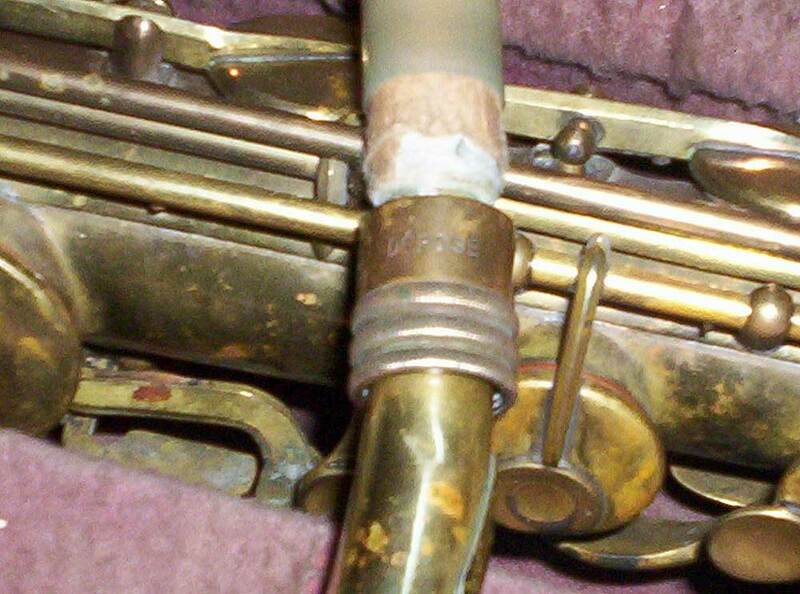 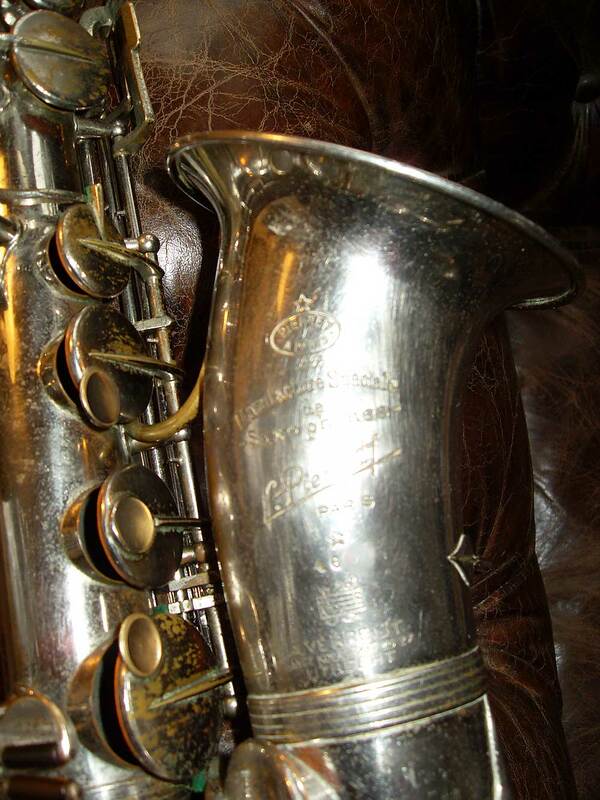 Note that this tenor is keyed from high F to low B. 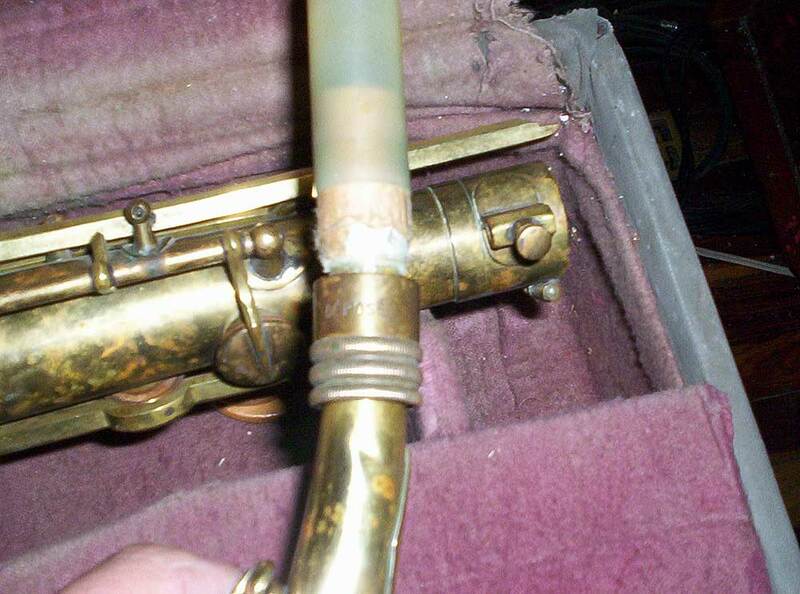 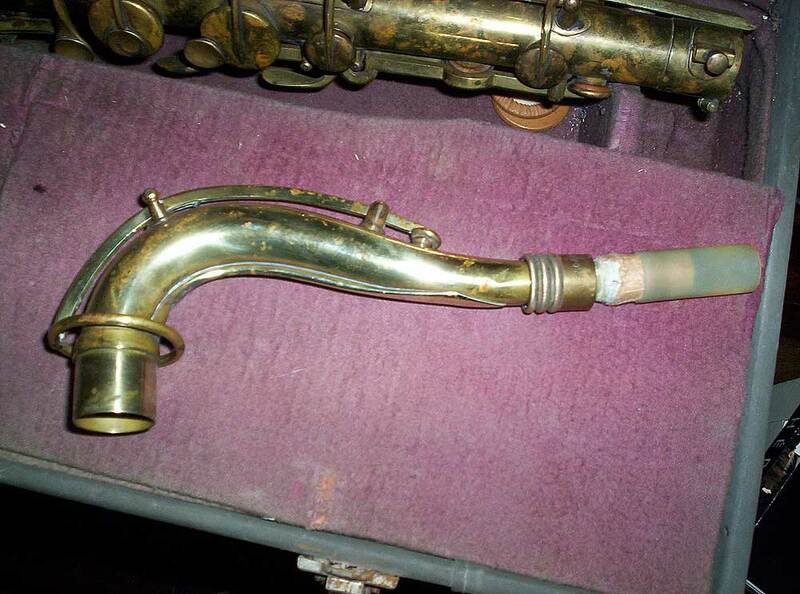 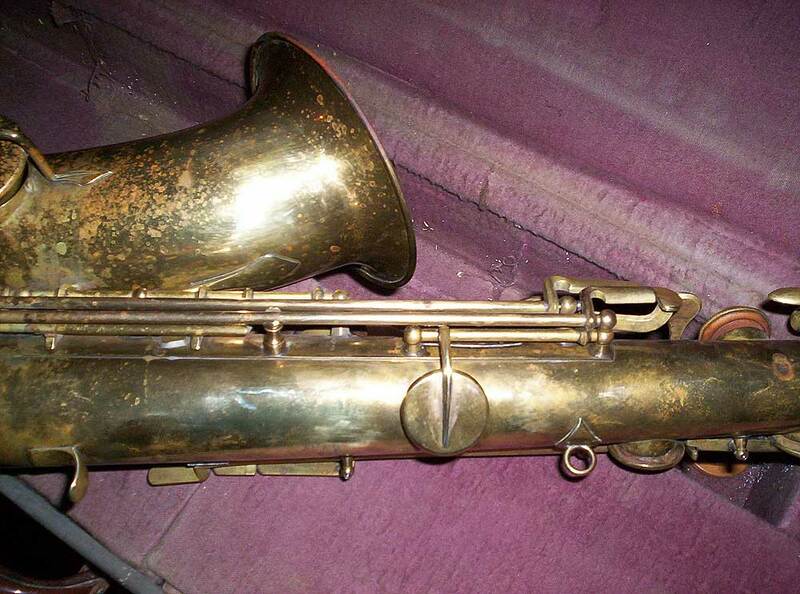 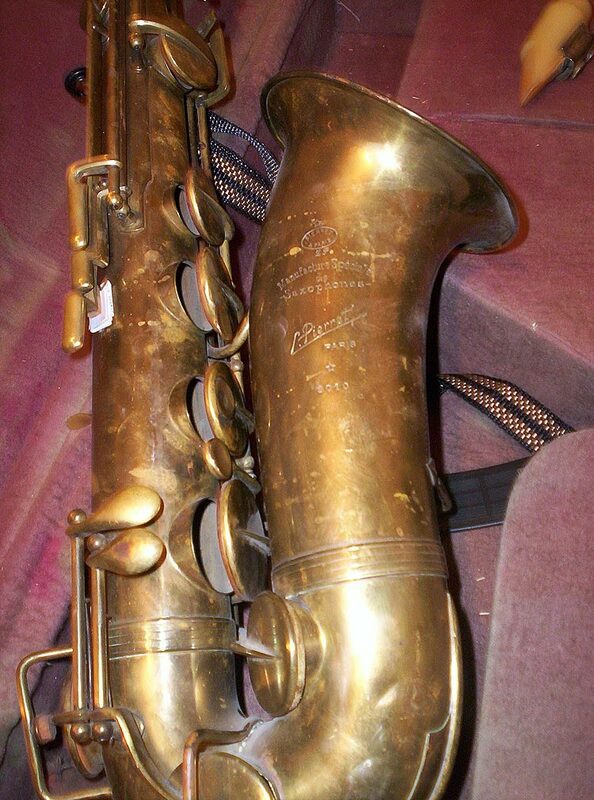 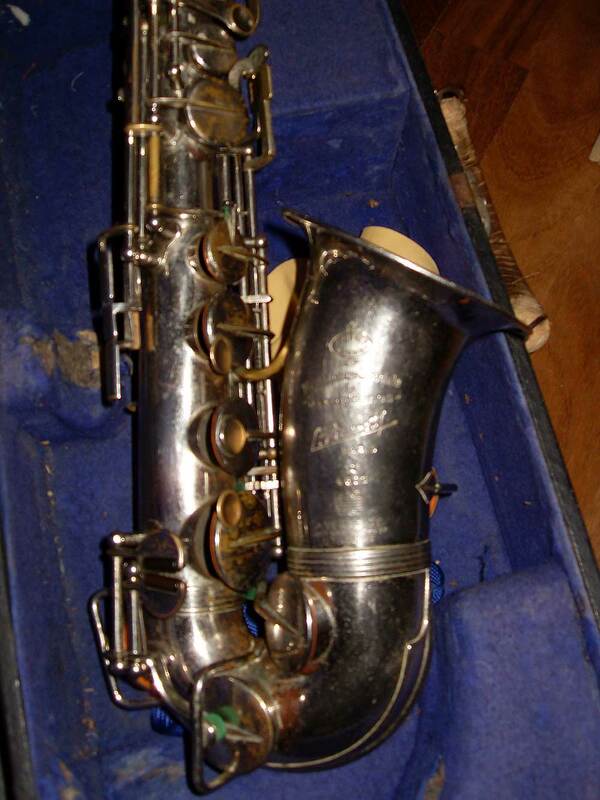 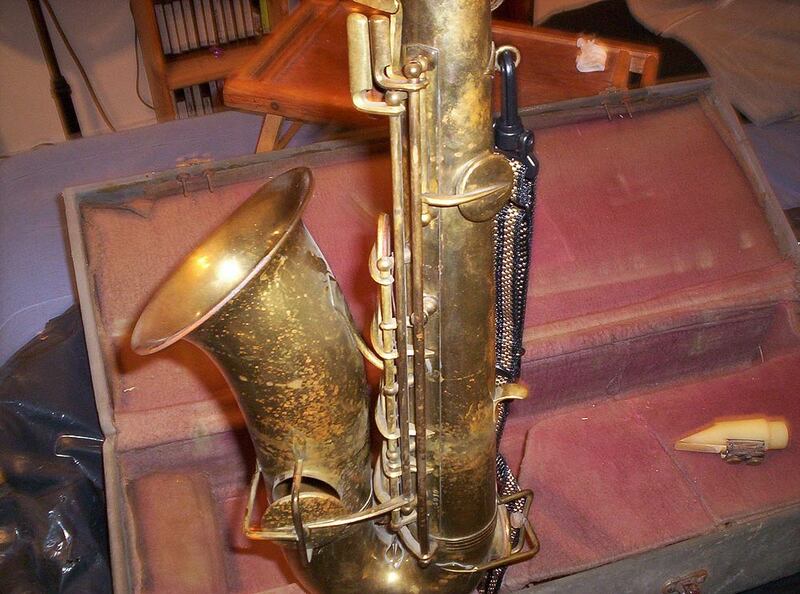 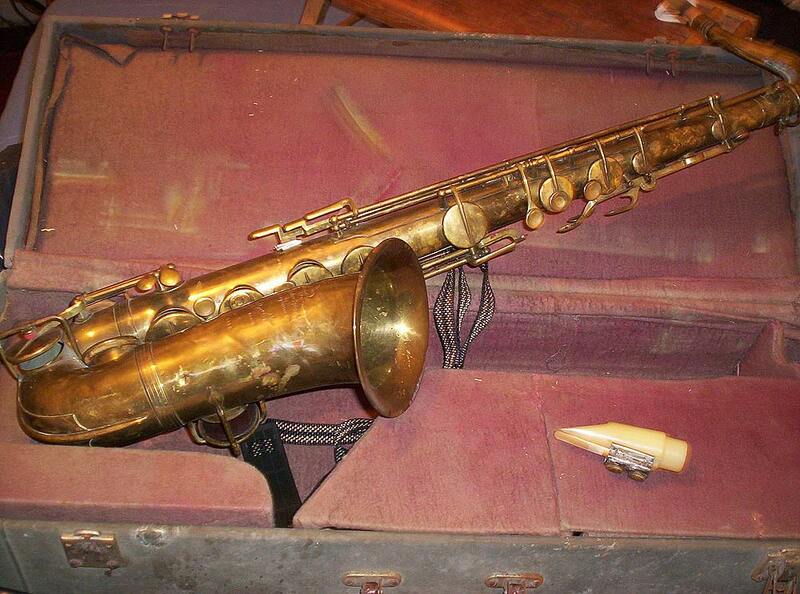 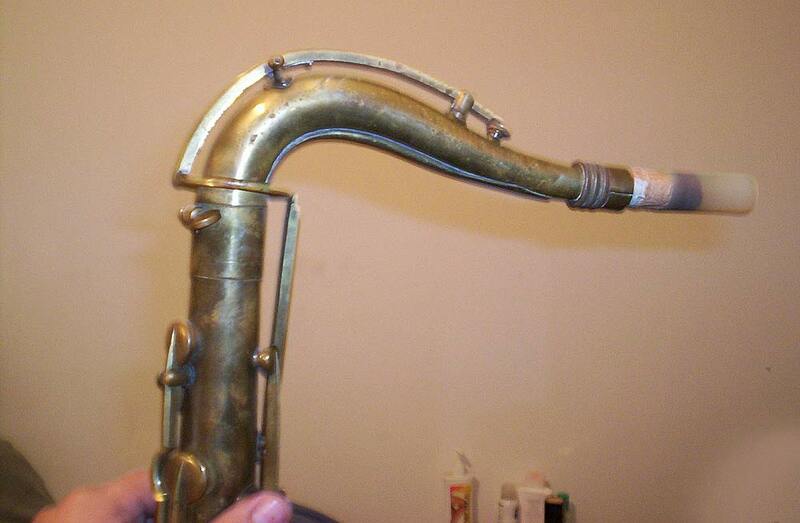 Also note that it has no rollers, but rather the Adolphe Sax type Low C & Eb keys. 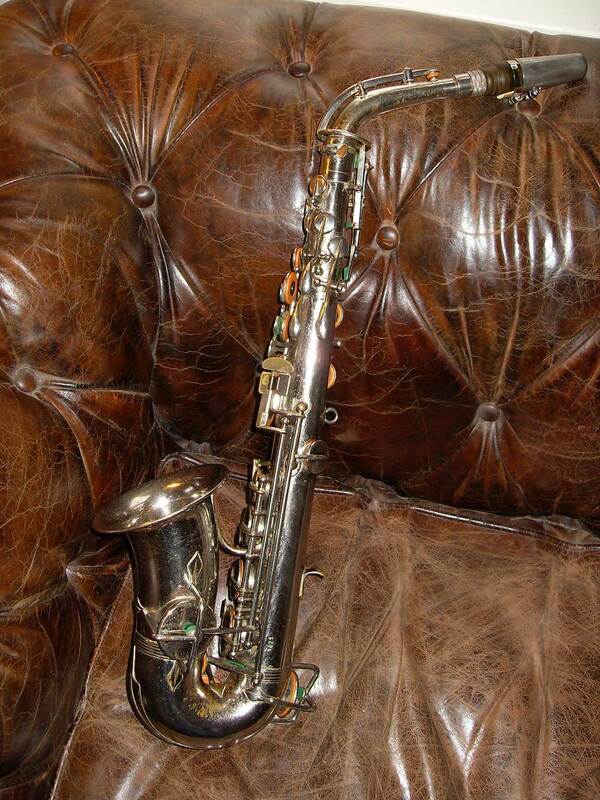 The left pinkie keys are also a throw back to an A. Sax design. 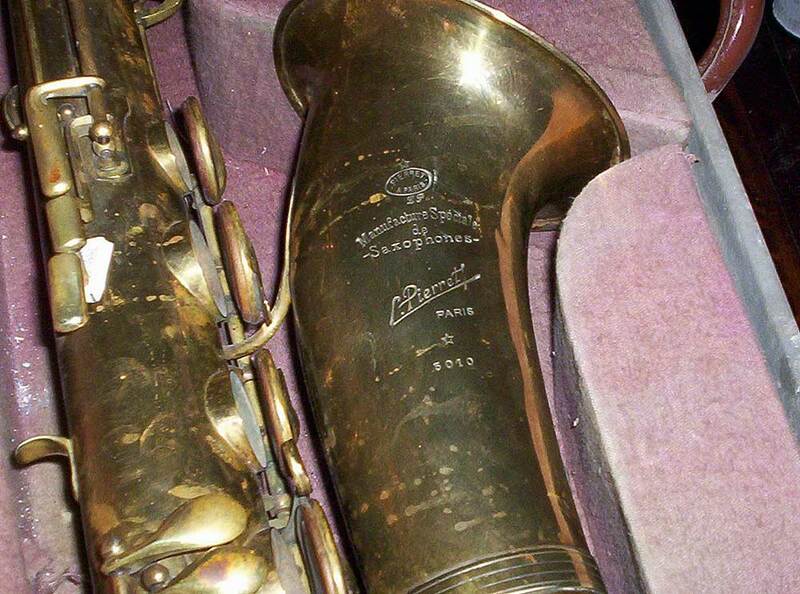 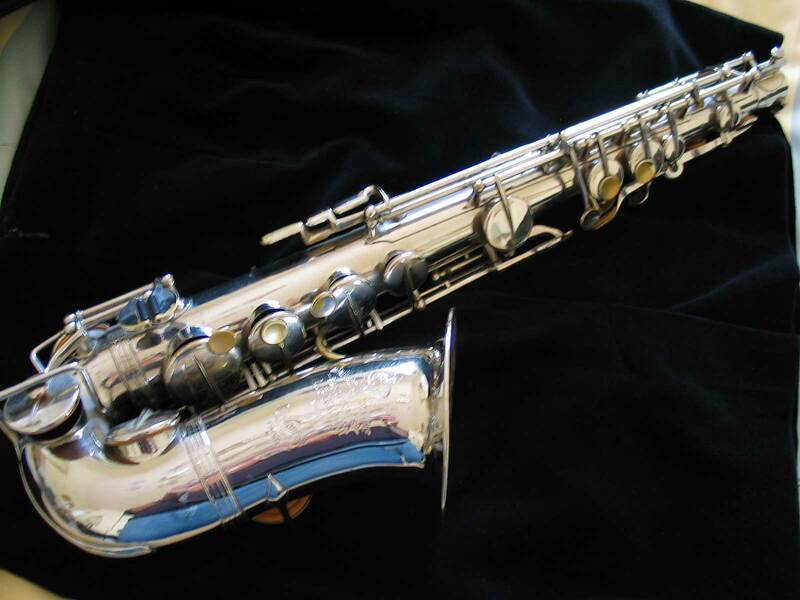 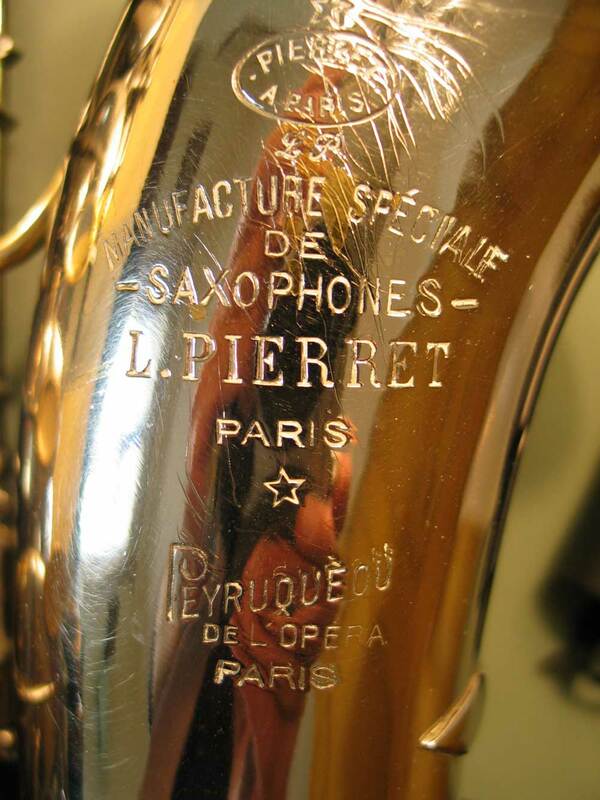 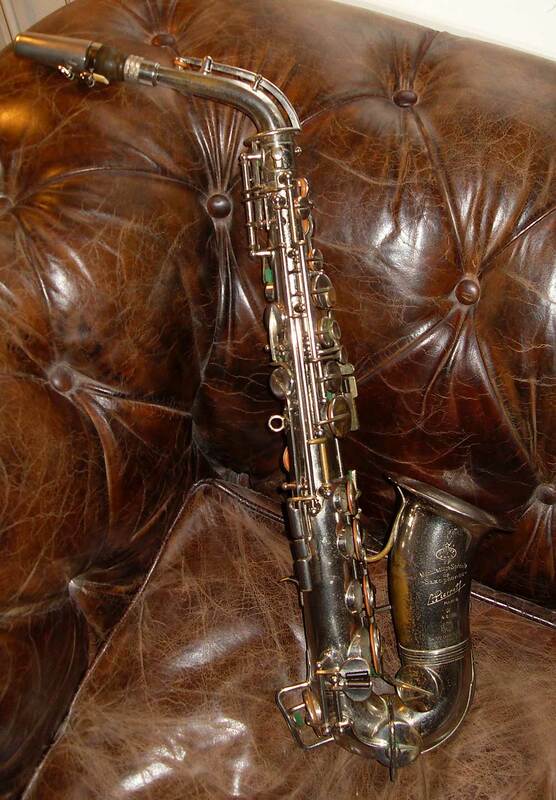 Be sure to check the Pierret Gallery on Bassic Sax Pix. 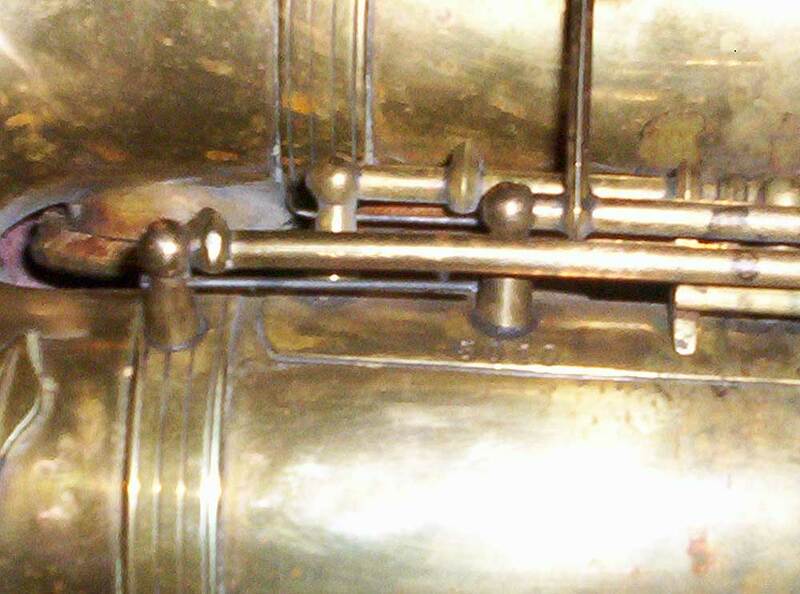 Any new Unlabelled photos I come across while be uploaded to there.